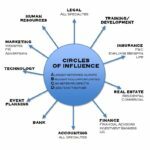 Comprehensive breakdown and analysis of sales revenue and source so sales/business development professionals, teams or organizations can determine where to focus in order to maximize ROI from their business development efforts. Key networking visual that represents the different industries or verticals that you might meet throughout your networking efforts, as well as a simple way to categorize the people within your network. BDU believes that your clients are your gold and that you need to maximize opportunities within your existing clients. 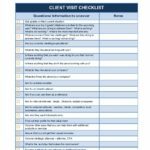 This tool provides a comprehensive checklist of everything you might discuss and accomplish when talking to your client base. 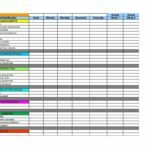 A helpful tool that sales managers can use for one on one sessions with their sales team. A key way to help develop your sales associates is to spend a day in the field with each of them. 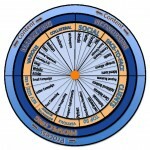 This tool can be used by the sales manager as a basis for feedback to evaluate and rate the day. 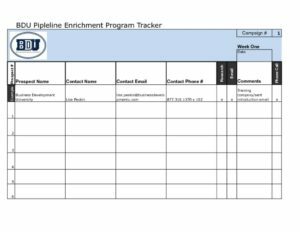 An easy-to-use tool that helps individuals, teams and companies track their progress for the next 30, 60 and 90 days against their well-defined activity and result goals for key focus areas. 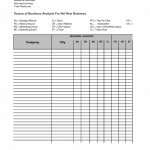 This tool allows you to easily analyze numbers in order to figure out the activity levels necessary to achieve desired results. 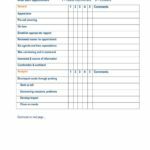 Detailed score card to be completed by the sales manager or associate that represents a comprehensive list of the information and skills a sales person needs for success. 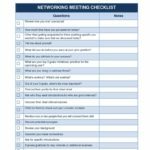 A guideline for how to conduct one-on-one meetings with centers of influence, including questions to ask and key information to uncover, to make sure that you maximize networking opportunities. It is important for sales people to be able to evaluate their metrics when it comes to prospecting efforts. 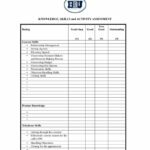 This form allows the sales associate to track calls, contacts and appointments to understand the activity needed in order to produce necessary results. Time spent with your prospects is valuable and should be planned carefully. 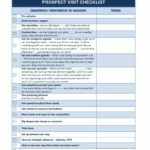 This tool provides a comprehensive checklist of everything you might wish to discuss and accomplish when meeting with a prospect. A comprehensive collection and analysis of key information for each individual sales person. 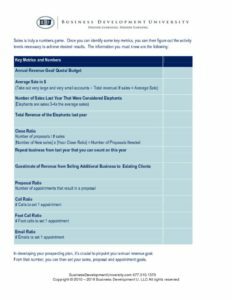 The result is a clear understanding of what 3 areas, if improved upon, will have the biggest impact on each person’s sales performance and success. 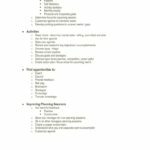 A comprehensive collection and analysis of key information about a sales team or organization. The result is a clear understanding of what 3 areas, if improved upon, will have the biggest impact on the team’s sales performance and success. 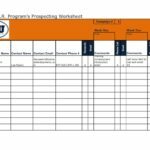 This tool was developed to help organize efforts and systematize strategies for prospecting new clients. At BDU, we strongly believe in helping individuals and companies figure out what 3 areas, if improved upon, would have the biggest impact on performance. 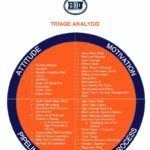 This visual provides a snapshot of some potential triage areas and are categorized by the key aspects of success in sales. Comprehensive visual that represents everything an individual, team or company can do to grow sales and revenues. 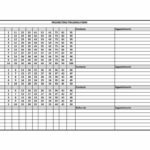 BDU uses this tool to help our clients (individuals, teams and companies) determine where to focus their efforts and time in order to maximize results.